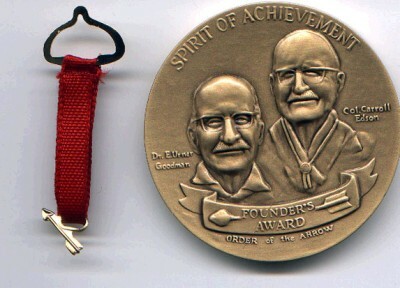 2017 - Joe Roupp Sr.
2000 - Brian Love and Bernie Briceland Sr.
1996 - George Bacalles and Mike Asiello Jr.
James E. West was the first Chief Scout Executive of the Boy Scouts of America, and he served in that position for more than three decades. 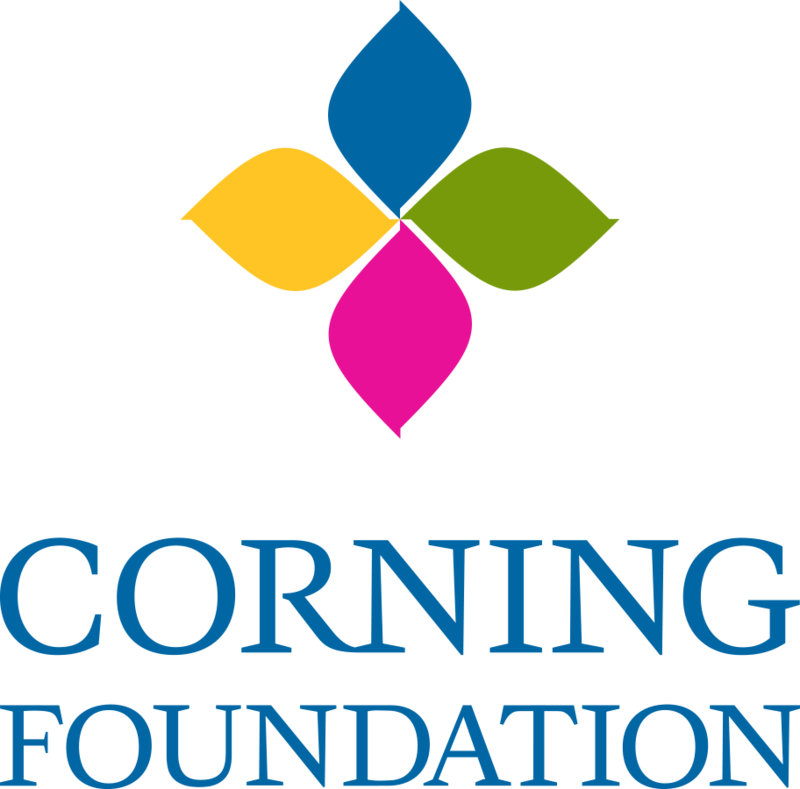 The West Fellowship award is available for gifts of $1,000 and up in cash or marketable securities to a council endowment fund. The gift must be in addition to— and not replace or diminish—the donor’s annual Friends of Scouting support. Many individuals and corporations make these gifts either on behalf of someone else—such as in honor of an Eagle Scout, Silver Beaver recipient, a retirement, a special accomplishment, or anniversary—or in memory of a special individual. 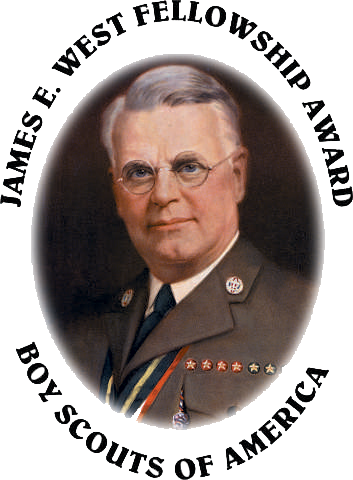 If an institution is truly “the lengthened shadow of one man,” it is more than fitting that the BSA honor James E. West’s major contributions to Scouting in such a significant way. The lodge has made many contributions to the council endowment fund honoring arrowman who have given unselfish service to the lodge.